Wuxia cinema is a genre of film that is a variant of the martial arts film. It typically focuses on a martial arts hero's adventure, usually in a melodramatic historical setting and often motivated by an honor code of some sort. In some ways, the genre's characters are analogous to gunslingers in the American Western genre. Stylistically, however, wuxia films of the last few decades have diverged from related genres in their elaborate and extremely extensive use of highly choreographed fight sequences, which often use some combination of complicated wire-assisted choreography, CGI effects, or slow-motion camera work. Its earliest examples date to the 1920s in China (e.g., The Burning of the Red Lotus Temple, dir. Zhang Shichuan,1928), and its fighting choreography style developed into its modern form in the 1960s (e.g., Dragon Gate Inn, dir. King Hu, 1967). Today, the genre is internationally popular with examples from Ang Lee (Crouching Tiger, Hidden Dragon, 2000) and Zhang Yimou (Hero, 2002; House of Flying Daggers, 2004) becoming influential worldwide blockbusters. The shooter part is [...] tricky because like you say it is kind of an odd thing, where all of a sudden all this combat's going on. I think of it sort of like musicals, you know - like you have this story and then all of a sudden everyone bursts out into song. But this comparison neglects the non-literal function of the musicals' songs to express character development and motivation by controlling the audience's emotional reaction to the score. The music serves thematic, narratological purpose in a metaphorical, non-literal way and is thus necessary to understanding the text. In most shooters, no such essential meaning is created by each violent action required of the player. While the action sequences may convey a vague sense of tension or achievement in the player that is analogous to that felt by the avatar character, they rarely move beyond such simplistic identification. Though the use of violence in a variety of films, such as the work of Quentin Tarantino, is instructive when considering its implementation in games, here we will focus on the wuxia example. A number of wuxia films have elegantly used combat as a non-literal, expressive tool that is essential to the films' thematic meaning. Take, for example, Zhang Yimou's Hero. The film recounts a variety of past occurrences from several subjective points of view. The elaborate, unrealistic fight choreography teaches the viewer of the unreliability of the narrative, while highlighting that the essential aspects of these memories may not be the historical veracity. Instead, emphasis is placed on the motivations for the fights, with the beauty serving as a stand-in for their nobility of cause. The fights inspire a sense of wonder and inevitability in the viewers, while also contrasting how such honorable actions have inherently contradictory aspects of beauty and horror. The viewers come to understand that these subjective tensions are the true story of a people's history. This construction of thematic meaning is similar to how music functions in the musicals of Levine's analogy, but it is a good deal more sophisticated than a typical first- or third-person shooter. It is here that we come to Bulletstorm (dev. People Can Fly & Epic Games, dir. Adrian Chmielarz, 2011), which seemingly has tried to implement the lesson that wuxia teaches about meaningful, non-literal combat. Much as in a film like Hero, Bulletstorm's frequent combat sequences are outlandishly unrealistic and, in a sense, choreographed. While most shooters ask the player use the avatar to kill other characters, they typically do so in such a way that encourages optimization of killing efficiency. The best weapons available should be coupled with the safest tactics to ensure progression through the game via the quick elimination of enemies. Bulletstorm still asks for optimization of a sort, but it asks for the maximization of an arcade-game-like score. The score is increased by finding interesting ways to kill the enemies, such as through particularly gruesome wounds or combinations of various tools, such as environmental hazards and a lasso-like leash that the player controls. On the surface, this stylistic play initially seems more closely related to games like the Tony Hawk's Pro Skater series (various devs. & dirs., 1999-2014) than to the most popular forms of shooters, such as the Call of Duty series (various devs. & dirs., 2003-2013), that Bulletstorm nominally calls its kin. Bulletstorm is not the first shooter to center its premise on score maximization through killing technique, but it does notably diverge from past attempts. The Club (dev. Bizarre Creations, dir. Martyn R. Chudley, 2008), for example, attempted something similar, in which a score was maximized by maintaining a combo meter that only stayed active if a consistently quick pace of killings was maintained. This sort of score-earning structure, however, largely results in the same sort of optimization motivation that a standard, narrative shooter encourages. The player both scores well and progresses through the levels by quickly and safely eliminating all enemies. The aesthetic effect is the same old vague sense of tension and achievement. Bulletstorm achieves something different from previous score based shooters by asking the player to improve killing style rather than killing results. In this way, the combat becomes choreographed, with the player acting as a choreographer with the assistance of the the game's list of possible combos. This style-optimization goal is further removed from result-optimization through several related design choices. 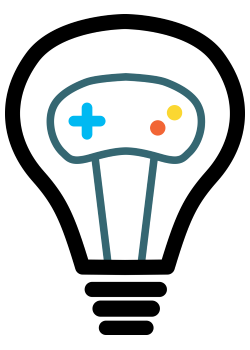 The points scored by the player serve a secondary purpose of being a currency that can be used to purchase new abilities for the various weapons. Most of these weapons and abilities, however, are side-grades rather than upgrades, and points are accumulated quickly enough that all options can be easily afforded in a short amount of time. The abilities therefore serve primarily to increase the player's repertoire of moves available during fight "choreography" rather than to strengthen the player such that progress can be made. The function of the leash is the second major design choice that encourages thought about the aesthetics of the kill. Notably, it is the one "weapon" that is incapable of directly damaging an enemy. Instead, the leash provides the opportunity to manipulate the positions of enemies such that environmental hazards, melee attacks, or weapon fire can be more elegantly combined in the enemies' destruction, especially when the melee kick attack is combined with the leash for more precise enemy positioning. Further, time slows for all game elements except the player avatar when the leash is in use, allowing complicated combinations of attacks to be executed while the leash and kick rearrange the enemies. The types of kills that these mechanics encourage are not the optimal kills from a purely narrative or game progression stand point; they are typically more complicated, riskier, and slower than a more standard direct confrontation of weapon fire would be. Our choreography of the combat therefore shifts our interpretation of the game and introduces new ways of relating to the game's characters. The characters and narrative interact with these mechanics in a number of interesting ways. 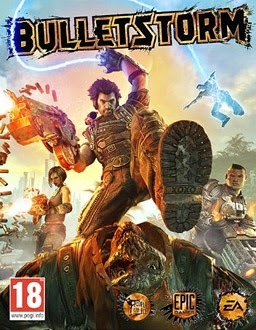 On the surface, the plot of Bulletstorm is fairly typical of other shooters in that an action hero player-avatar, Grayson Hunt, must defeat the bad-guy, General Sarrano, before escaping the war zone. Hunt, in command of a small squad of soldiers on board a small spaceship, initiates the plot by drunkenly attacking the spaceship commanded by Sarrano, Hunt's former commander, to attempt revenge for Sarrano's past actions. This attack results in both ships crashing to the planet below, killing most of Hunt's crew, except for his friend Ishi, who is maimed and converted to an unfeeling cyborg during an interrupted surgical procedure. The two soldiers, along with a woman named Trishka that they meet along the way, hunt down Sarrano hoping to defeat him and to use him to get back off the planet. The planet itself is an apocalyptic, abandoned amusement-park city, with several aggressive and monstrously deformed species of inhabitants that make up the bulk of the combat enemies throughout the game. As we saw in Hero and other wuxia films, consideration of choreographed combat in a subjective, non-literal sense can reveal aspects of character perspective and motivation that may not be immediately apparent from a surface level interpretation of this rather standard plot. Indeed, Hunt's character development is fairly nuanced. Prior to his falling out with Sarrano, Hunt held a highly skilled, difficult, and important position as the leader of his squad. His self-worth was reaffirmed by society and peers through his work performance. But upon defecting from his position under Sarrano's command, he was made aimless, grasping at meaning through an ill-conceived quest for revenge. By resorting to alcohol, he creates a surrogate for his lost mechanisms for creating self-worth. He drinks because his skills as a soldier are of no further value in his everyday life. Increasingly, he his seen as incompetent by squadmates, which Ishi continually reiterates once they are on the planet. The artistic killing, then, acts as an escape and restatement of self-worth for Hunt. It now functions for Hunt much like the alcohol does; it is an ecstatic release that brings past achievements back to the present, affirming Hunt's value to himself. Hunt seems to recognize this aspect of his skills. In Act 4, Chapter 3, he gleefully shouts, "Badoom! Killing as an art form!" Ishi notably is unable to recognize the aesthetic achievements of Hunt's kills, perhaps partially because of Ishi's new cyborg form, but, luckily for Hunt, time slows during these kills, providing a respite from Ishi's criticism. (We might also read this divide between Ishi's and Hunt's perspective as a small statement on the valuation of non-technical skill in society. Ishi fails to see value in the beauty that Hunt can create with his combat skills.) By positioning the player as choreographer of Hunt's maneuvers, Bulletstorm is able to leverage the escapist nature of many video games as a way to induce empathy with Hunt's need for a way of dealing with his changing position in society. It is hard not to also read Bulletstorm as a statement about how its genre can function as art (recall Hunt's exclamation: "Killing as an art form!"). It seems to want its audience to consider whether games can achieve the same level of meaning through combat that wuxia cinema has, or whether we must resign ourselves to brushing it aside as Ken Levine's statements seem to suggest. From the outset, Bulletstorm calls explicit attention to the common trappings of its genre and its own position as part of that lineage. In the midst of the earliest tutorial segments which introduce the standard controls of all modern FPSs, the dialogue ramps up to a hyper-masculine, crude, violent, and ridiculous register - an obvious pastiche of the similar language presented with deadpan sincerity in series such as Call of Duty. The game even threatens to continue in that direction, soon dropping the player into a flashback in a far more conventional FPS setting, complete with military-esque dialogue and a colorless office building setting, before it aborts that thread and brings us back to the bizarre planet on which Hunt is stranded. That planet is a giant caricature of popular shooters. Within the narrative, it was once a resort planet, practically one giant amusement park. We see the abandoned rides, entertainment devices, and concession stands everywhere. All are either non-functioning or functioning in a pointless way, like the newsbots who spew news to no one. It is a visual metaphor, suggesting the state of this genre - a defunct amusement that longer functions in a useful way. (Yet this planet is also full of gorgeous set pieces, perhaps suggestion its aesthetic potential.) The savage enemies that Hunt and Ishi encounter are mutated humans that once lived on or visited the planet, and now fall into three distinct factions. These factions seem to be playing out their own shooter-game amongst themselves, as they can frequently be seen to be fighting amongst themselves. Their fighting is chaotic, inelegant, and perhaps without any purpose, in stark contrast to Hunt's ability to move among them through the use of highly choreographed fighting. Other shooters, such as Spec Ops: The Line (dev. Yager Development, dir. Cory Davis & Francois Coulon, 2012), have questioned how a shooter can function thematically as art. But while Spec Ops merely points a finger at the questionable aspects and potential failures of the form, Bulletstorm suggests a way forward. By suggesting the use of stylized combat to functionally create meaning, much like the way that combat functions in wuxia cinema or song functions in musicals, Bulletstorm creates a cohesive thematic depth that exceeds that of most of its peers. Perhaps it doesn't go far enough, however. In the late levels of the game, Bulletstorm seems desperate to increase its difficulty in line with the typical difficulty curves of other shooters. It does so by throwing large number of enemies at the player, requiring more optimally and quickly executed kills and thereby removing much of the aesthetic freedom that it built up so carefully throughout the game. Perhaps if the Bulletstorm had committed just a bit more fully to its central conceit, eschewing any attempt at a typical difficulty curve or a sequel-bait ending, it might have drawn a bit more critical attention and had a bigger impact on the state of the genre. Nonetheless, it remains one of the most important formal experiments in the shooter genre to date. For reference, a (probably incomplete) critical bibliography of the Bulletstorm discourse follows. If you can point me to other discussions, I would love to include them. Richard Clark used Bulletstorm as an example of an indefensible depiction of violence. As one can probably guess from my discussion above, I strongly disagree with this interpretation. The same author took a similar view in an opinion piece at Gamasutra. Craig Wilson notes the relationship (archived version) between Duke Nukem Forever's (dev. 3D Realms, Triptych Games, Gearbox Software, & Piranha Games; dir. George Broussard, 2011) ostensible style and the mechanics of Bulletstorm. G. Christopher Williams discusses whether Bulletstorm sufficiently telegraphs its irony and camp elements to warrant a serious interpretation that relies upon them. In comments made prior to the release of Bulletstorm, Gus Mastrapa observes that it could potentially function in a way akin to film's Starship Troopers (dir. Paul Verhoeven, 1997). Over at The Mediocrity Codex, a piece discusses Bulletstorm's emphasis on score. I don't think this reading goes far enough. It identifies how Bulletstorm kinda pulls the rug out from under the concept of score, and in doing so reveals how standard FPSs work, but the author never notices that in doing so the aesthetic potential of the game is liberated. Most mainstream video game review websites wrote about the game, and the ensemble took a generally positive stance toward the game. Though their commentary is typically fairly shallow, they represent an important record of social opinion toward the text.